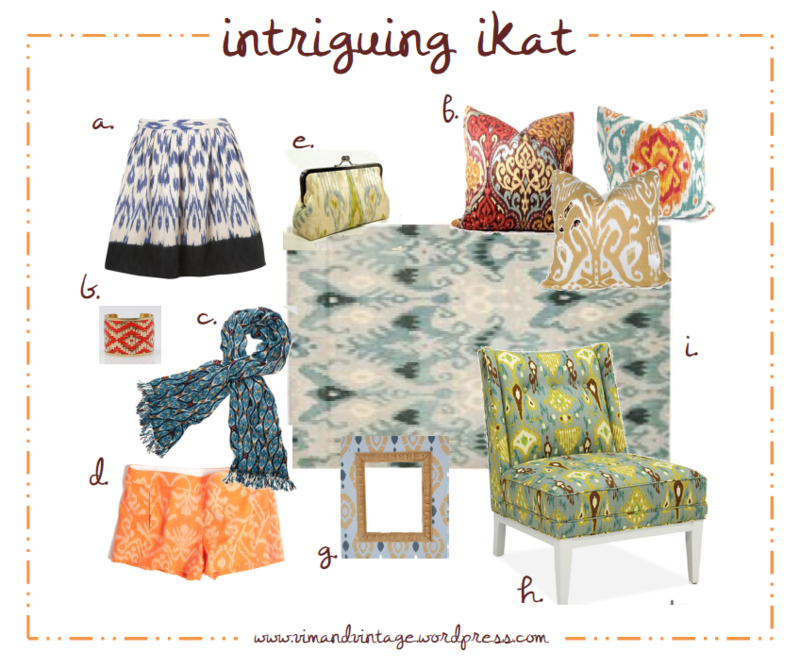 Textile | Vim & Vintage - design. life. style. 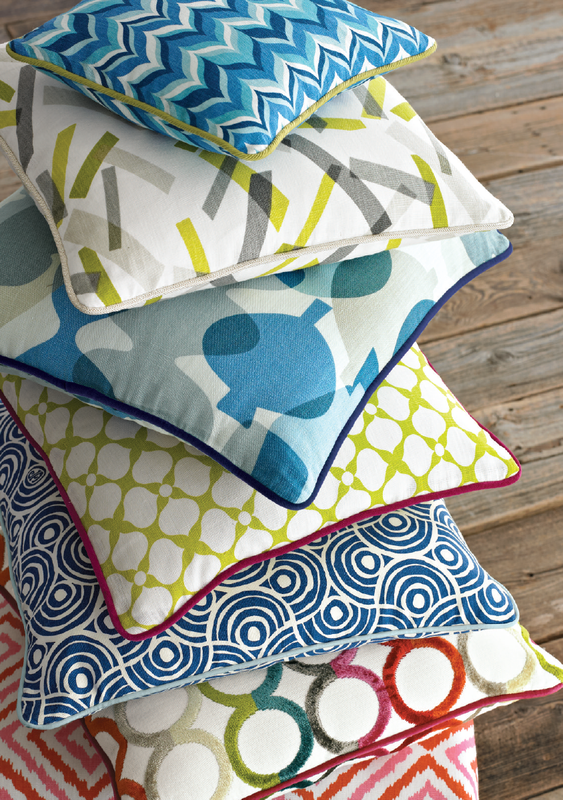 I’m loving designer Thom Filicia‘s latest fabric collection from Kravet! 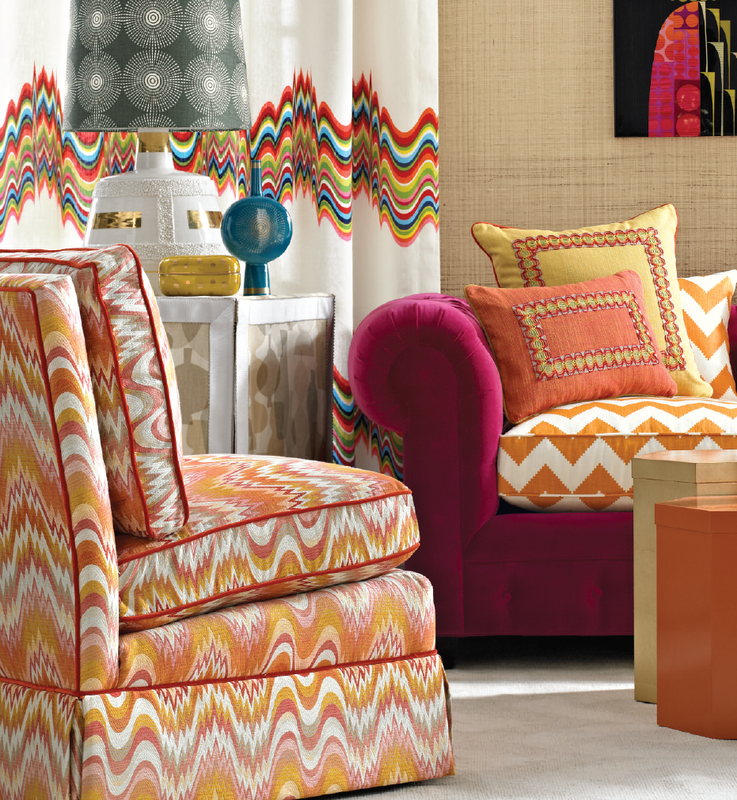 So many fun and inspiring colors – like turquoise, lime, red-orange – that embrace the exciting yet carefree mood of summer. This first one is my fave. You might not be able to tell from the picture, but the green lines are actually embroidered. Red-orange is where it’s at right now. This one’s soft to the touch. It comes in a gray and a blue as well. This would make a nice herringbone pillow, throw or coverlet. 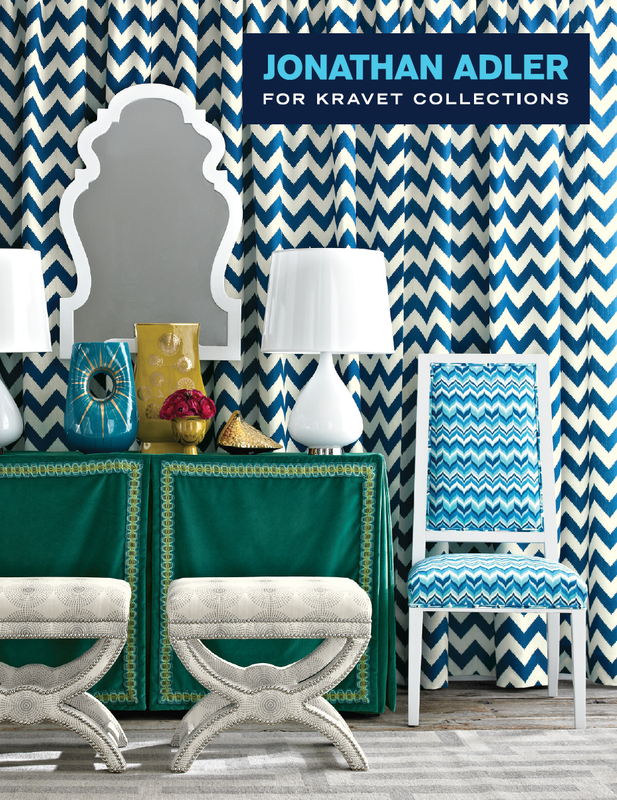 View his entire Kravet collection here. The man. The myth. The legend……. 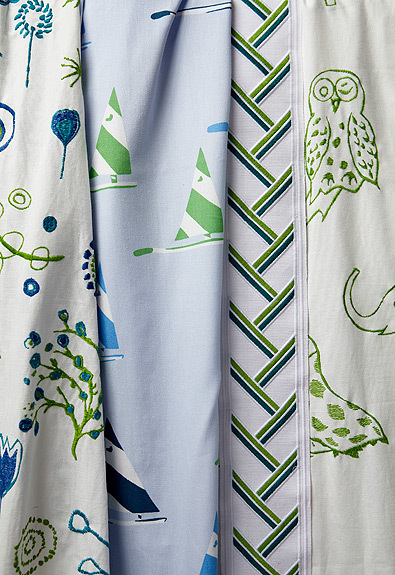 The fabric line. 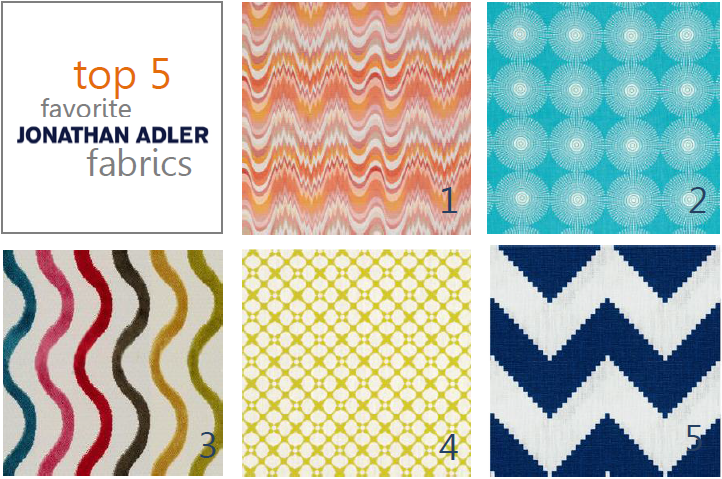 Potter/artist/design genius/retailer Jonathan Adler recently paired with Kravet to develop his new happy line of fabrics. 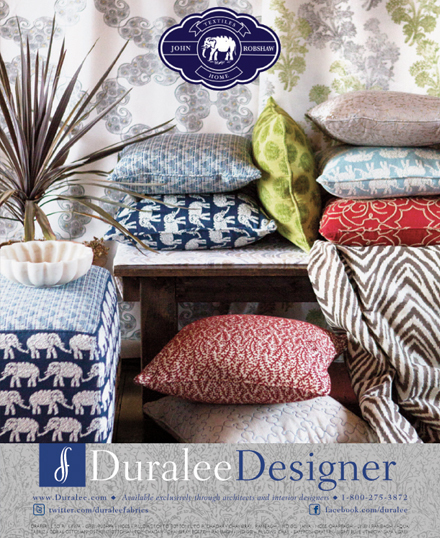 The collection includes upbeat, funky patterns and bold colors that are characteristic of the designer’s signature style. Don’t you just love these?? SO FUN. Here’s my top 5 faves. View the whole collection here. 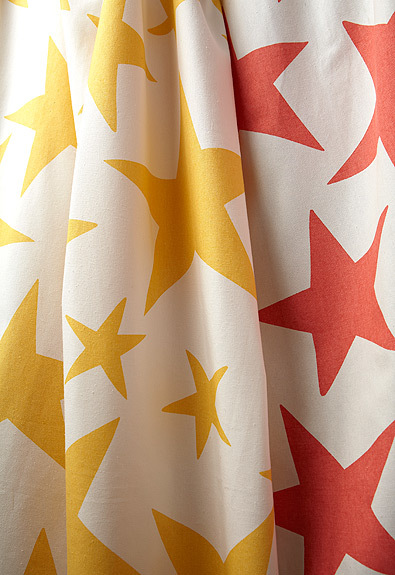 Apparently big kids like me love this stuff too, because I’m crazy about this fabric. 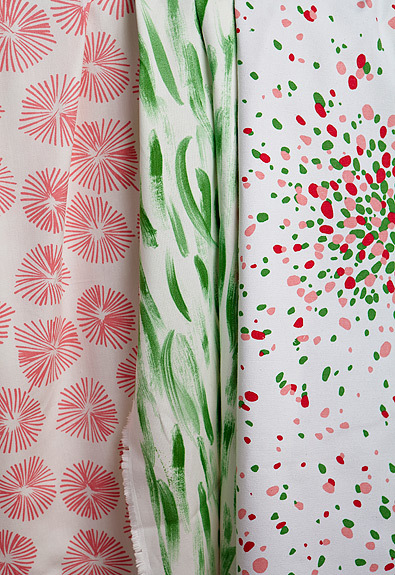 Inspired by her worldly travels and fine art background, Lulu’s fabrics are simple in design and bold in color. I love the functionality: the designs could work for young children all the way up to teens. Pink & Green. Nice combo for a girl’s room! Can’t forget about the boys! And there are wallcoverings too! So precious. Check out Lulu DK Child to see the whole collection!